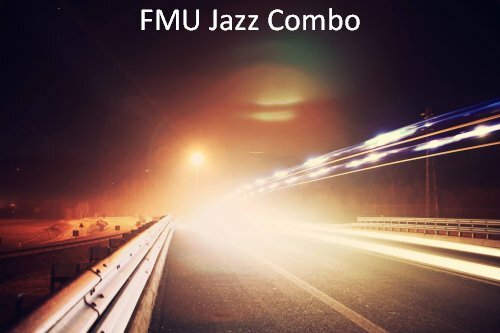 The FMU Chamber Jazz Ensemble allows students in a small group setting to learn and hone improvisational skills within the the jazz idiom and directed by Terry Roberts. Recently, works have been selected from music by Metheny, Corea, Ritenour, Jobim and others. RESERVATIONS: Reservations may be made by calling the FMU Performing Arts Center at 843-661-4444 between 12:00 and 5:00 pm.